Are you someone who drinks beer throughout the day, or know someone that does? These people exclusively stick to beer, avoiding wine and hard liquor, seem to never get drunk or even “tipsy,” and appear to never suffer from hangovers. Such a person may not have an alcohol problem or have any organ damage from long-term beer drinking, which is very fortunate for them. But, even though they don’t seem to have any issues, there may be symptoms hiding just below the surface. Although most beers are low in alcohol, averaging about 4% by volume, they aren’t a good source of hydration. While beer may be mostly water, it is still usually hypotonic, meaning it doesn’t contain a lot of electrolyte solutes. Electrolytes are just as vital as water for your body to function properly. That’s why people in the hospital don’t receive pure water in their IVs, instead getting saline which is packed with electrolytes. Electrolytes include minerals like calcium, magnesium, sodium and potassium. Without electrolytes, your muscles can’t contract, your nerves can’t send signals, and your heart can’t beat. When you drink large amounts of beer regularly, you are leaching electrolytes from your body without replacing them, which is surprisingly easy to do. Since beer is often filling, you may not be eating enough if you’re drinking often. Also, because beer is refreshing, you’re not likely drinking other beverages that do contain electrolytes. Having too few electrolytes in your system can result in conditions like hyponatremia (low sodium) and hypokalemia (low potassium). When your electrolyte levels are low due to drinking beer, the condition is known as beer drinker’s potomania. 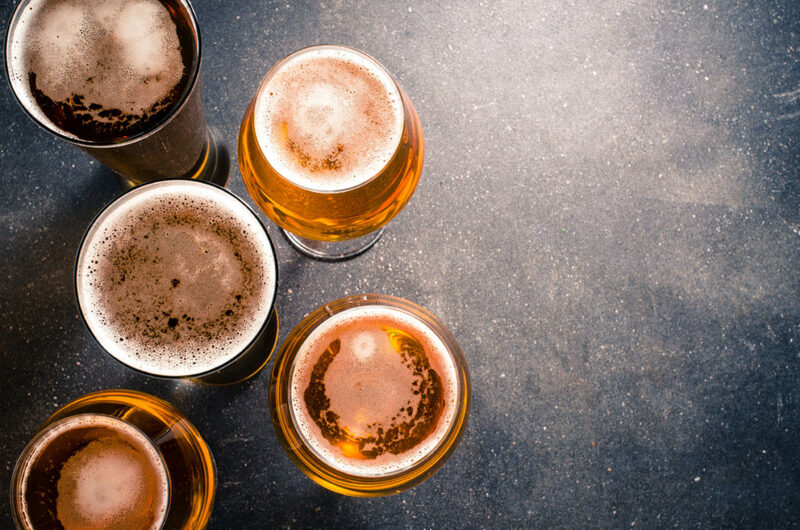 While it’s very possible to have low electrolyte levels with no outward signs, the symptoms of beer drinker’s potomania include fatigue, weakness, and nausea. More severe cases may cause mental confusion, agitation, and seizures. Coma and death are also unfortunate possibilities. If you enjoy beer and drink it regularly, what can you do to prevent electrolyte deficiencies and potomania? Fortunately, there are several effective measures you can take. First, limit your alcohol intake. Most physicians recommend restricting your regular beer intake to four 8 oz servings per day. Naturally, a little more once or twice each month is usually alright but be sure not to overdo it. Next, make sure you’re eating while you’re drinking. Most foods will provide you with electrolytes. Carbohydrates and lean meats are a good idea, especially since many regular beer drinkers have been found to be protein deficient. Also, be sure to drink something other than beer. While water is always a good choice, sports drinks like Gatorade are also suitable because they contain electrolytes. It’s always prudent to check in with your doctor. They may want to run blood tests to check your electrolyte levels and make sure that organs such as your kidneys and liver are functioning well. If they recommend that you moderate your beer intake, strongly consider following their advice. Finally, see Hangover Heaven IV Hydration for B12 or B Complex shots, or a Myers’ cocktail – a tried and true mix of antioxidants, vitamins, and electrolytes. IV infusion is the fastest, most effective way to replenish your electrolytes and avoid symptoms. The healthcare professionals at Hangover Heaven IV Hydration have performed thousands of nutrient IVs, and have what you need to stay energized and healthy.